Mingji Bronze & Metal Products Fty Ltd. is an enterprise owned by HongKong. It was established by Mr. Li Jixun in Wong Tai Sin District in 1946. Its original name is Mingji Bronze Factory. In 1994, Mr. Qing Keguang took over the President of the company and Lately the next year, the company moved to Zhaoqing (Guangzhou) till now. 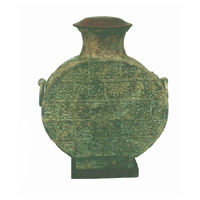 Specialized in producing bronzy handicrafts of Chinese traditional culture, Our company has been manufactured a great deal of products like antique animals, vases, censers, wine glass, etc. In virtue of highly appreciation & practical value, the products are selling well at home & abroad, such as: America, France, England and Italy. Mingji wishes to create tomorrow hand in hand to the clients from various circles!